Solar storms is in itself quite common and leads to the northern lights. Most are relatively weak, but about once every ten years there will be a powerful one. A Solstorm can cut the power and destroy satellites. Now NASA makes a new system that will make us better prepared when they arrive. - The system will give us more accurate information about previous storms, and maybe an updated message just before it hits us, "said Paal Brekke, a senior adviser in the Norwegian Space Centre, told VG Nett. In Norway, we can notify the solar storms now. But Brekke hope the new system will give us faster and better than before. - You can compare the system with if there would be a hurricane or a low pressure against Norway. Then yr.no weather alert a few days in advance and say that it's going to be bad weather, "said Brekke. The system will initially be used in North America, but Brekke believes that Norway will also be able to take good advantage of the experiment. Galactic core outbursts are the most energetic phenomenon taking place in the universe. 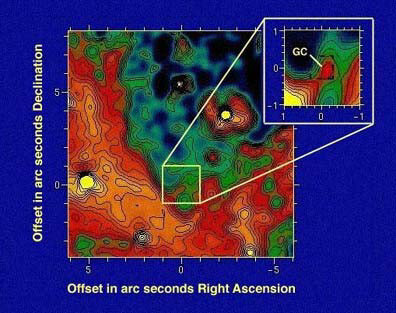 The active, quasar-like core of spiral galaxy PG 0052+251 (Figure 1-a), for example, is seen to radiate 7 times as much energy as comes from all of the galaxy's stars. Most of this is emitted in the form of high energy cosmic ray electrons accompanied by electromagnetic radiation ranging from radio wave frequencies on up to X ray and gamma ray frequencies.